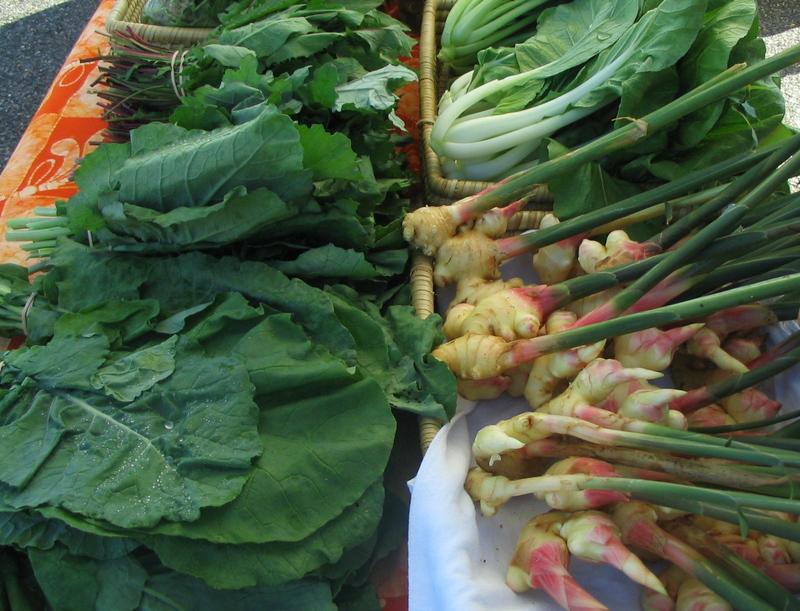 You may have wondered what the pinkish rooty-looking things are on our market table. 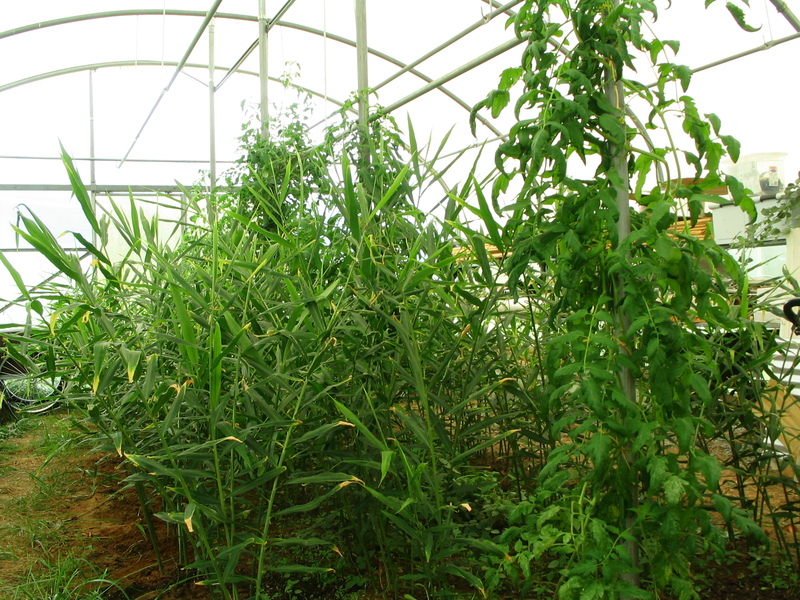 They have been growing in the greenhouse for many months, and we have started harvesting them over the past few weeks. They are lifted gently out of the ground. 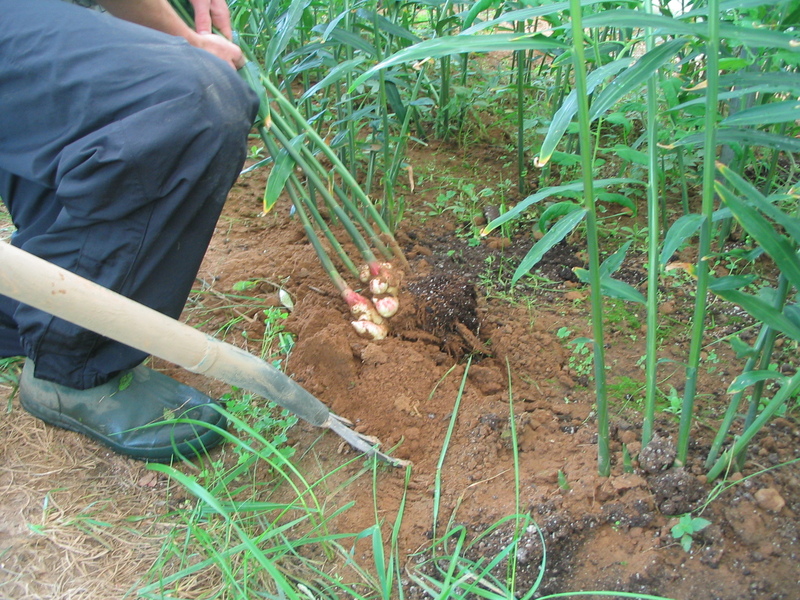 Then we wash them and trim off the roots and mother tuber. Cleaned up and ready for eating! The baby ginger is less fibrous than what you find in the grocery store, so you don’t have much if any to peel off before using. You can grate it, chop it, or slice it into rounds to use in recipes. Eat it raw or cooked. 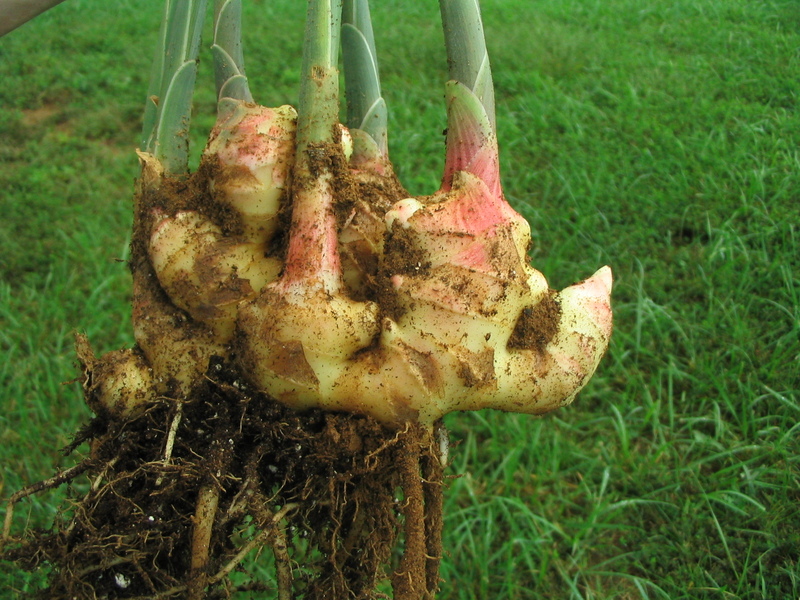 You can also use the stalks to make ginger tea. 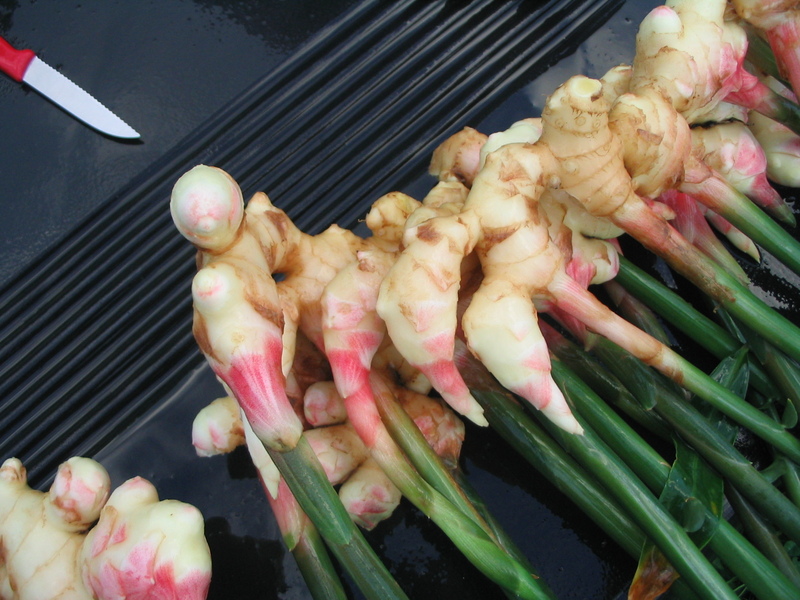 Ginger pairs especially well with honey, lemon, lime, cream, mint, scallions, sesame oil, soy sauce, curry, cumin, cilantro, basil, apples, pears, and rice wine and cider vinegar. Coconut rice with ginger, curry with ginger, ginger in a fruit salsa, ginger in pilaf, carrot and sweet potato soup with ginger, acorn squash salad with cilantro, ginger, and maple syrup, ginger-glazed young turnips with cider and raisins, ginger miso soup with daikon, kale, and carrots, gingery butter with asian greens, sweet-and-sour ginger sauce with chard, scallion and ginger fried rice with bean sprouts, ginger-sesame dressing, gingery udon or soba noodles, gingersnaps… hungry yet?